Every great city has its iconic foods – Memphis has barbeque, Baltimore has crab cakes and Miami has stone crabs. 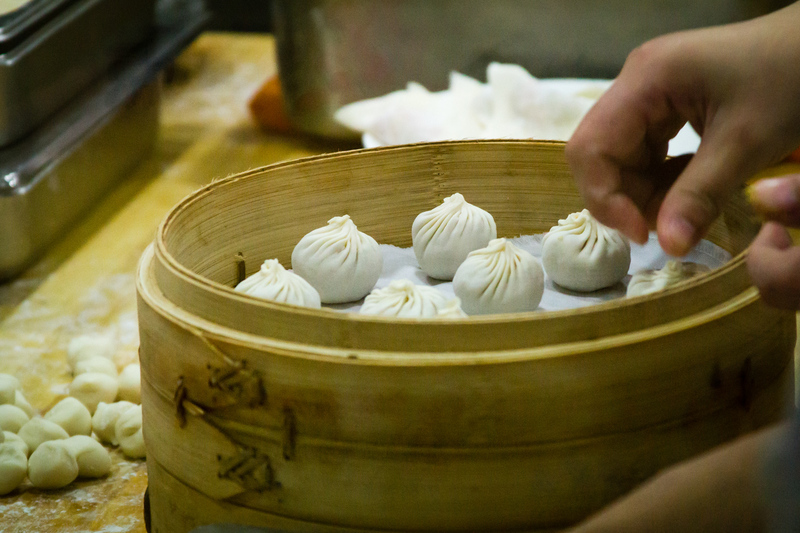 Way further east Shanghai, China is known for Xiaolongbao or simply Shanghai Steamed Buns. What all these foods have in common is that when combined in the right way the resulting dish far exceeds the simplicity of their constituent ingredients. Thin rice wrappers are hand rolled, stuffed with pork that has been mixed with aspic, sealed with exactly fourteen pleats and steamed in bamboo baskets. Variations of filling include crab meat, fish roe, and vegetarian offers. 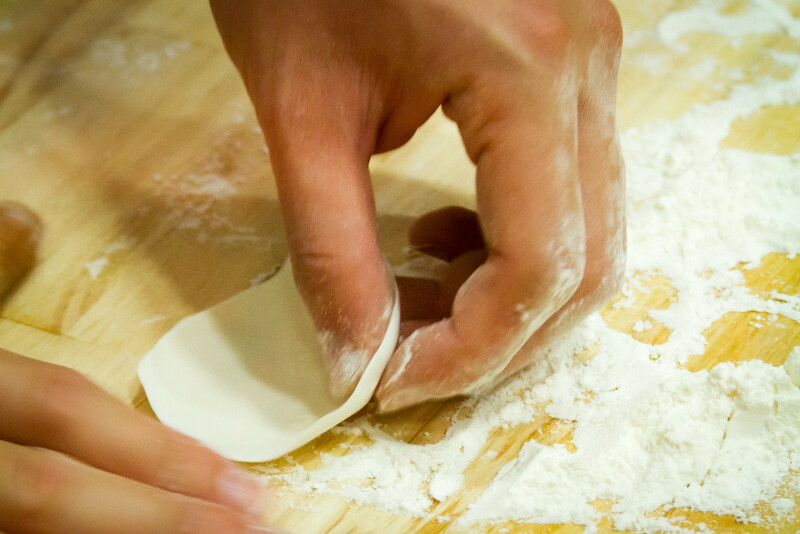 The result is a “small eat” filled with a savory hot soup that is traditionally served with vinegar and ginger. 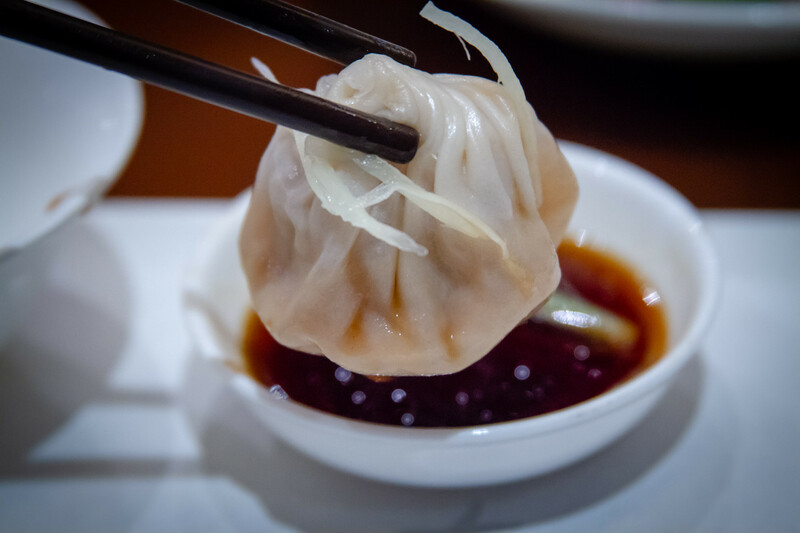 Elegantly eating steamed Buns is a challenge. The hot soup tends to squirt out and run down your chin. That is why most Chinese opt to devour them in one delicious bite.